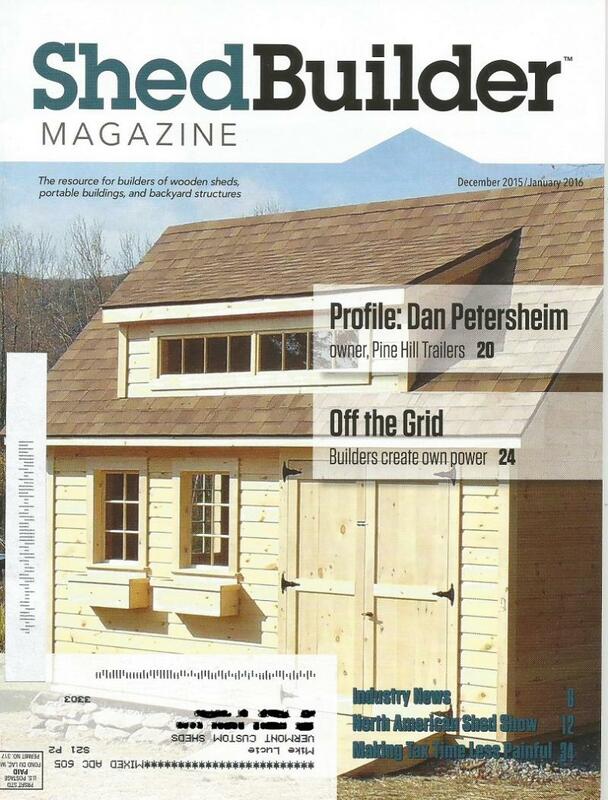 Several of my Custom Sheds have been featured in Shed Builder Magazine. This 12x16 I built in Huntington,Vermont made the front cover! BUILT ON YOUR SITE AS A CONSTRUCTION SERVICE. NO SALES TAX!